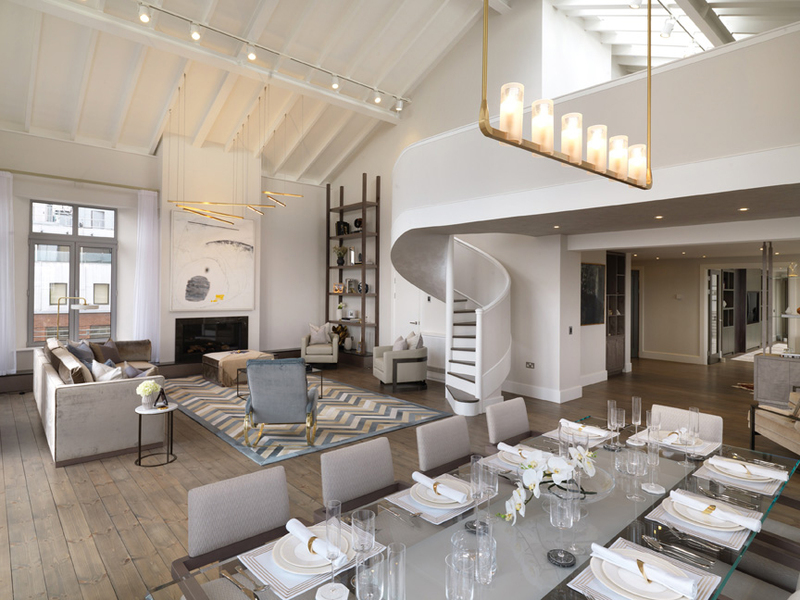 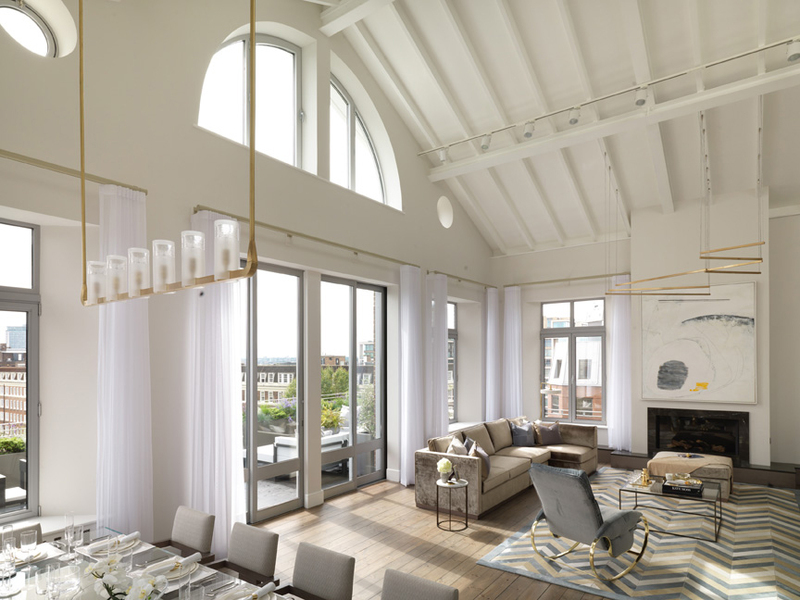 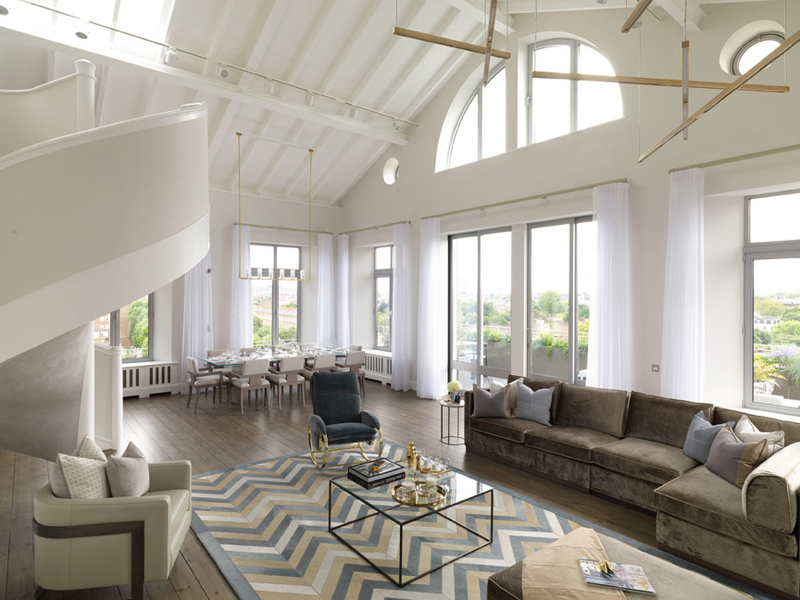 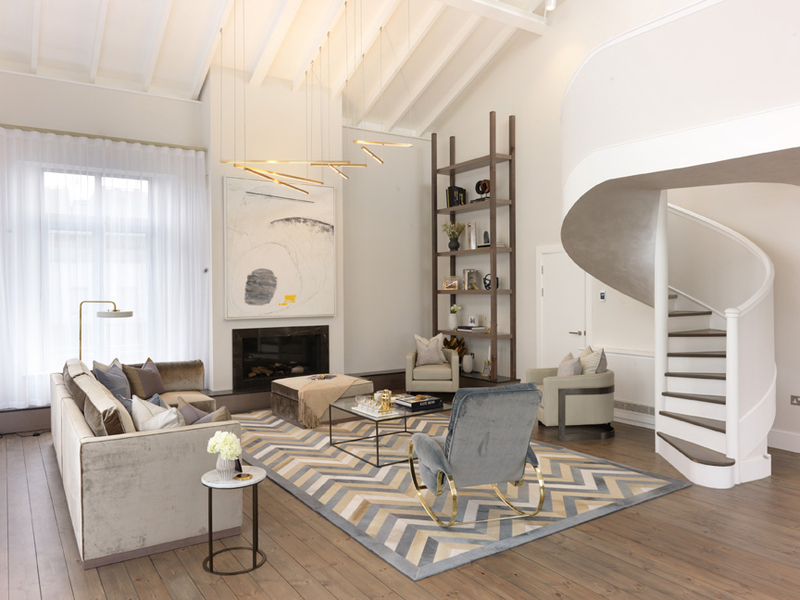 This project involved the design and manufacture of two feature pendants within this Kensington Penthouse. 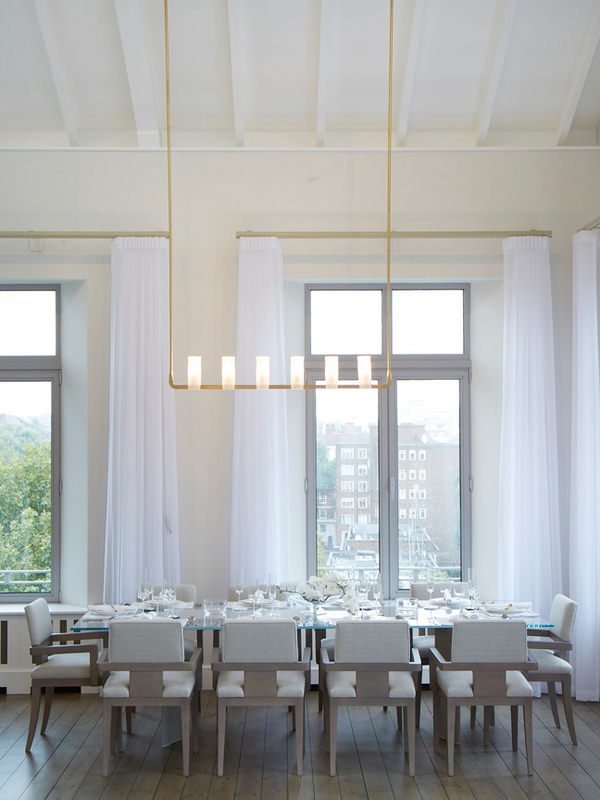 The dining area pendant, manufactured and finished in brushed brass, is of a linear design with custom manufactured glass shades. 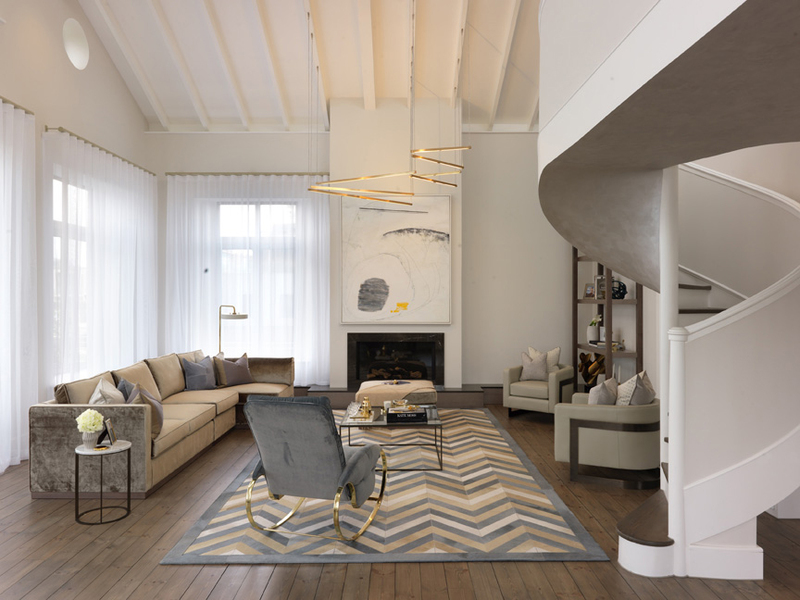 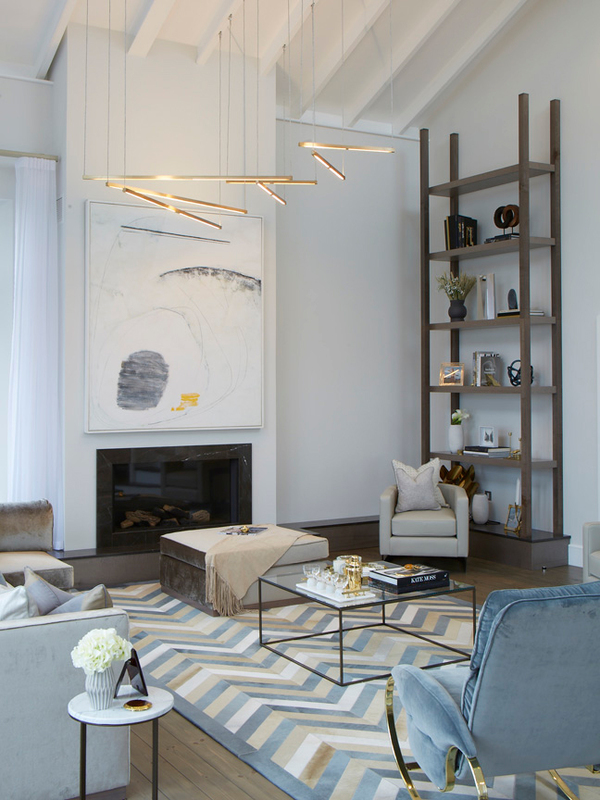 The lounge area chandelier comprises of several linear brush brass sections with LED strips all suspended at different levels.